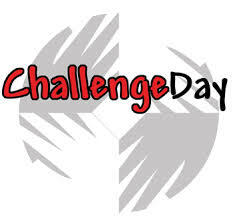 I attended Challenge Day when I was in 8th grade at Martinez Jr. High School, and I remember it being incredibly emotional – breaking down walls, raising awareness and creating community. I don’t remember if the momentum lasted long, but I remember being incredibly moved in the moment. I had the opportunity to be an adult participant in a Challenge Day event for a middle school in Oakland. I figured it would raise the same emotional scars it did for me 14 years prior, and it did, but that wasn’t it. When we had this event in Martinez, a relatively well-off, and mostly safe Bay Area community, it was hard to see my peers cross the line, but for the most part, I was crossing it with them. We all had similar circumstances for why we crossed, and there were minimal crossings for other scenarios. Today, well, today was different. As an adult, watching these 12 and 13 year olds cross the line completely broke my heart. How could these children have gone through this much? HOW? Though I crossed over with many of them, it was different now. I have healed from a lot of my scars, and these sweet children were in the midst of it. I was grateful to be there, but felt such anger, sorrow, sadness – pain, for these kids. They’re just kids. KIDS. Why are they going through this? WHY. I know asking why isn’t going to do anything. I believe things happen for a reason, I believe we heal from our scars if we work at it, but today, being submerged with these young humans, seeing their pain, the tears on their face, it broke me. I hate that each one of them has experienced what they have, are experiencing things daily – so with that, I’ll do the only thing I can do. PRAY. Lord, let the bonds that were formed today remain. Let these sweet children feel peace in knowing they are not alone. Let them seek help, stay strong in believing this too shall pass, lean on each other and feel your love completely overwhelming them. In your sweet, sweet name I pray. Amen.